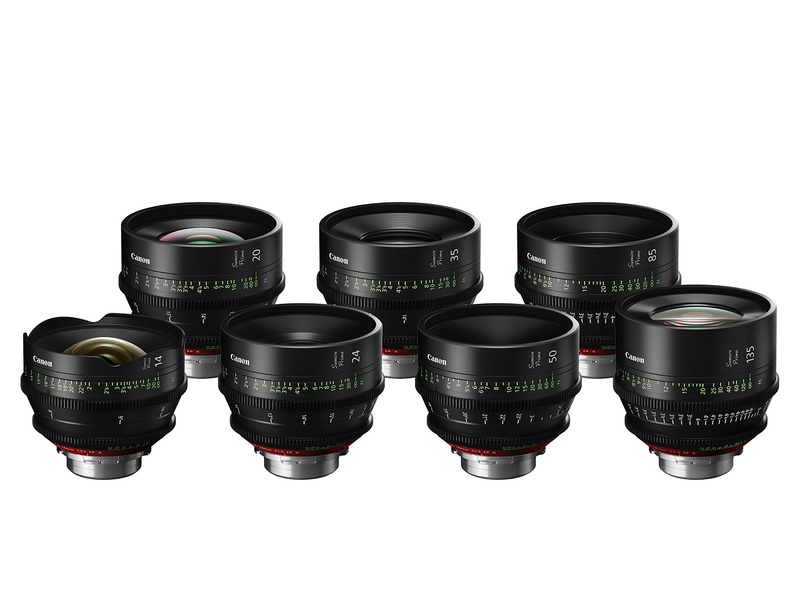 The Canon CN-E 24mm T1.5 FP X, CN-E 35mm T1.5 FP X, CN-E 50mm T1.3 FP X and CN-E 85mm T1.3 FP X lenses are scheduled to be available in Summer 2019. The Canon CN-E 14mm T3.1 FP X lens is scheduled to be available in Fall 2019. The Canon CN-E 20mm T1.5 FP X and CN-E 135mm T2.2 FP X lenses are scheduled to be available in Winter 2019/Spring 2020.